| Healthy Living Articles | Teaching Body Image: Don’t Say, I’m So Fat! With childhood obesity on the rise, there are a lot of anti-obesity campaigns that can sometimes be misinterpreted by a child and their family. Here are positive ways to approach body image! All of the negative talk and social media shaming may lead to a fear of becoming overweight or obese, which can result in a serious eating disorder, low self-esteem, or both. Especially harmful is “fat-talk,” which is when you talk about your body size in a negative way or identify people by their weight. Help your child develop a healthy self-image by being a positive role model and setting a good example. Here’s what you can do to build a healthy body image. Don’t identify people by their weight. Think of something else, like a positive personality trait, their style or color of their hair (when directing where to look). 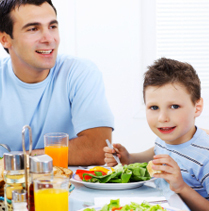 If your child is overweight, avoid the diet mentality and use these guidelines instead. Encourage exercise for fun instead of exercise for weight loss. Highlight games you can do as a family, or plan fun family hikes. Teach your children how advertisers entice kids to make unhealthy choices –so they can outsmart them! 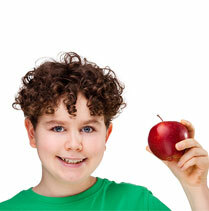 Take steps as a parent to stop companies from marketing unhealthy foods to kids. Explain to your child how photos are altered on magazines and ads. Understand how the media influences your child, see Overcoming Media Influences to Promote Healthy Self Image. Cut down on TV time. Often, media plays a crucial role in the subconscious or even more obvious messages about image. Cut down on screen time and fill your family life with activities that don’t focus on image. The following tips are examples of these! You don’t need a big yard to have a garden. 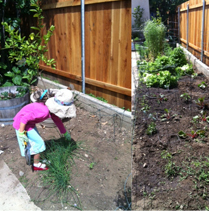 Lots of good fruits and veggies can grow in pots too. Try growing strawberries, peas, and tomatoes! Find a place where you can all go for a hike together. Listen to the sounds of nature and see what creatures you can find! Don’t forget to bring a healthy snack & water. Learn how to plan the perfect hike. Even if your family can’t go camping in the outdoors, see if they will let you go camping in the living room or backyard. Have fun telling spooky stories! Don’t have a pool in your backyard or apartment complex? See if your family can take you to a community pool. Have fun splashing around! Just don’t forget your sunscreen and drinking water. Go for a 30-minute walk with the whole family before or after dinner. By helping your kids to identify themselves with a wholesome and “grow-some” lifestyle that will help build their character rather than focusing on their physical appearance, they’ll become more confident in themselves, their abilities, and will continue to build strong character into adulthood! Greek Yogurt –Tasty Recipes for All Ages!